Your first pastoral positions were at churches that might be described as more traditional than Life.Church. What did those years teach you? Before starting Life.Church I had the honor of serving at First United Methodist Church in downtown Oklahoma City for five years. Interestingly enough, I learned to think innovatively at a more traditional church. Previously I’d been taught to think outside the box, but at FUMC I learned to think inside the box. Most people think creativity requires an unstructured environment with no limitations. But true creativity is often born within constraints and limitations—inside the box. As our Methodist church grew, we actually discussed starting a second location (long before multisite churches existed). But since we had to remain within our district [constraints], we came up with a nontraditional solution. Instead of starting at another location, we started a church within a church for single adults on Friday nights. This idea wasn’t born from unlimited shoot-for-the-stars resources, but out of constraints and limitations. Limitations are the best breeding ground for true innovation. I’ve heard you share several moments you experienced as a young pastor that led you to start Life.Church. What kind of church were you dreaming of then, and how does today’s reality compare with those dreams? We launched in 1996 during the early days of the seeker movement. Although some labeled Life.Church as a seeker church, I never described us that way. I always envisioned a church where someone who didn’t know Christ would feel welcome and loved, but also hear the gospel every time they came to church. We called it “the paradox.” We hoped people would feel simultaneously comforted and confronted: comforted by a welcoming environment and loving people, but confronted by the truth of God’s Word that we are all sinners in desperate need of a Savior. Twenty years later, the church looks a lot different, but our values are the same. Each week we help people feel welcome, and each week we unapologetically present the gospel, inviting people to turn from their sins and become disciples of Jesus. Let’s talk a little bit about growth. When you started Life.Church, how big did you think we would get? I remember secretly dreaming the church could grow to 2,000 people or so. But that seemed so far-fetched; I didn’t even tell my wife Amy. I’m glad God had more planned for us than I did! I remember in the mid-2000s when we thought it was impossible to grow our regular weekend attendance past 20,000. What had to change to make that possible, and how has that altered your perspective on growth today? During that time, it did seem impossible for an American church to grow beyond 20,000 people. A couple of churches had reached that point but then stalled out. Most everyone I knew believed there was a lid on church size. On one weekend this year, we broke 100,000 in attendance at physical locations for the first time. Most weekends we welcome about 70,000 people. Honestly, those numbers don’t seem big to me, because they’re so small in comparison to those not yet reached. I refuse to call ourselves big. We still have so much yet to do. What advice or encouragement would you give to a pastor who feels like their church has reached a growth plateau? I’d want to ask several questions before giving advice. I’d ask about their evangelistic passion for the lost (or lack thereof). I’d try to discern the health of their culture and key leaders. I’d inquire about their structure and systems. I would try to discern how passionate they truly are about pleasing and honoring God. Once I got a sense of what might be holding them back, I’d talk about mindsets. Instead of trying to change what they do, I’d challenge how they think. Every time our church hit a plateau, God had to help me think in a different way. Honestly, my wrong mindsets were often the biggest hindrances in forward spiritual movement. Our staff finds great value in quantifying and tracking various aspects of ministry. Some church leaders might perceive that as reductive or missing the point of why we do what we do. How do you see it differently, and why do you think it has served our church? So at Life.Church we measure more than most people can imagine. In fact, at last count, we track over 900 different things. We believe that where performance is measured, performance improves. Since we have the most important mission on planet earth, we will always have high expectations, help people improve and measure what matters. And I think it’s important to note that the numbers don’t stand alone—the head and the heart of ministry have to be in balance. What are some of your favorite heart moments for Life.Church? I don’t even know where to start. I love that we tell people they can take cash out of the offering if they have a need. I love that every week in the history of the church people have given their lives to Christ. I love that God uses his church to meet needs in the community. I love that he allows us to serve other churches with free resources. I love when couples meet and are married in God’s church. I love when their babies are dedicated then later come to Christ and are baptized. I love when generations are changed because God uses his church. On a personal note, it blesses me that people I helped grow closer to Christ are now pouring into my children and helping them to know Jesus more intimately. It’s a beautiful thing to see God’s body at work. As we add locations and staff, there’s no way you can see or know everything that’s happening. It would be easy for some leaders to feel a sense of anxiety about that. How do you maintain trust with a growing team? Trust in the team is everything to me. If I don’t trust the people around me, then something is either wrong with me or I have the wrong people. If I have the right people in the right roles, then I don’t have to worry about what is going on. I trust them to make wise decisions and handle situations as they arise. If I have to be in the middle of everything, then my desire to control will quickly become a limiting factor in the church. That’s why as leaders we need to work hard not just to delegate tasks. If we delegate tasks we are creating followers—or people who simply do what they are told. But if we delegate authority, we are creating leaders. And the only way to build and retain great leaders is to give the ministry away to them and empower them to lead freely. 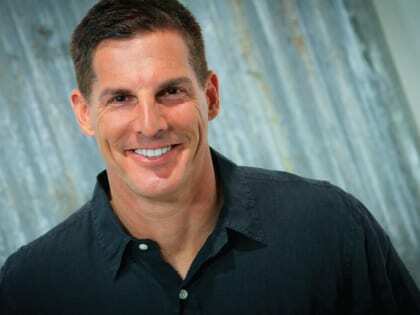 In Part 2, Craig Groeschel explores the future of Life.Church. 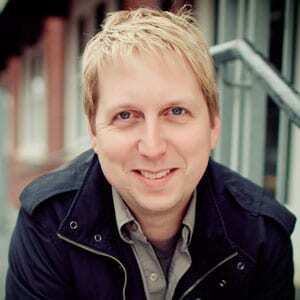 Bobby Gruenewald is pastor, innovation leader at LifeChurch.tv. FastCompany.com recognized him as one of the 100 most creative people in business in 2011. Bobby is an Outreach magazine contributing editor. His column, “Innovate,” appears in each issue.